Accounting summer program is open for enrollment! 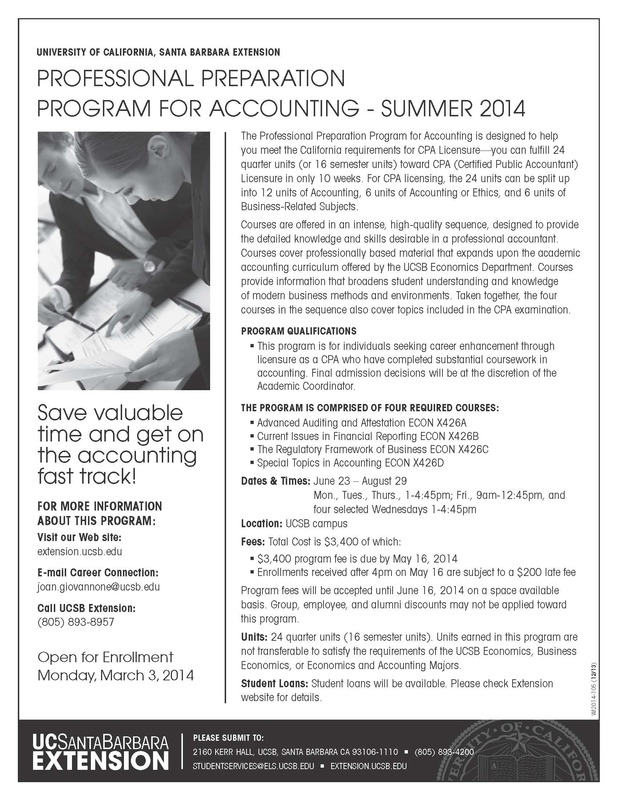 UCSB Extension’s Professional Preparation Program in Accounting in now open for enrollment. There is no online enrollment, so students need to visit or call the UCSB Extension office or call. If you are short on units for CPA licensing, this is a great way to get units and prepare for the CPA exam. ← Alumni Speaker Event – TOMORROW! !